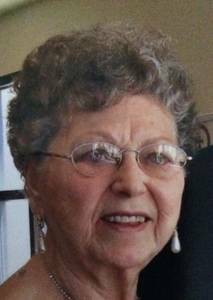 Dorothy C. Szpond passed away February 10, 2017. Loving wife of the late Richard S. Dear mother of Richard J, Mark, Tom and Mary Ellen Ehlke. Cherished grandmother of Rachel, Nick, Chelsea, Joe, Jeremy, Erica and Brenna. Beloved great grandmother of Ava. Family will receive friends Monday from 2-8 pm at Neely-Turowski Funeral Home, 30200 Five Mile Rd (btwn Merriman and Middlebelt) with a rosary at 7 pm. A Funeral Mass will be held Tuesday, 11 am at St Gerald Catholic Church, 21300 Farmington Rd (north of 8 Mile). In State 10:30 am until Mass begins.